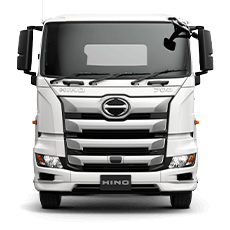 Best of all, we give you priceless peace of mind by backing every Hino Genuine Accessory with a 3 Years Unlimited Kilometre Accessories Warranty*, when fitted by Vanderfield Hino. 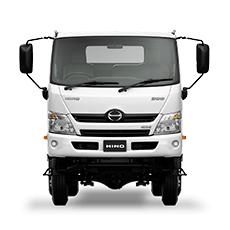 Protects and toughens your Hino. Made from a single channel with polished aluminium finish, it also has towing pin options and driving mounts. 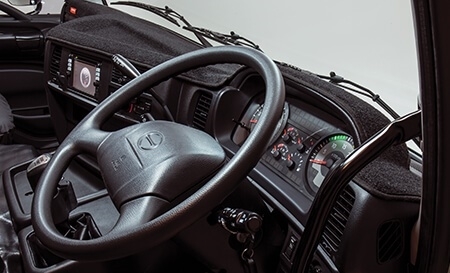 The Bull Bar is aerodynamically designed and are airbag and FUPS compatible, making it an integral part of the overall safety system. 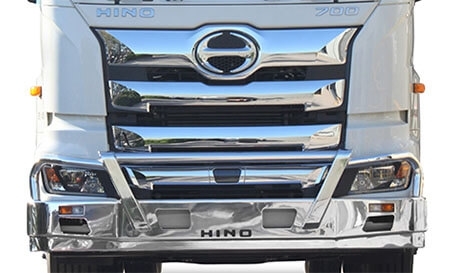 The Hino Chrome Grille & Bumper Kit will give your truck that premium look. Available for the FS & FY models. 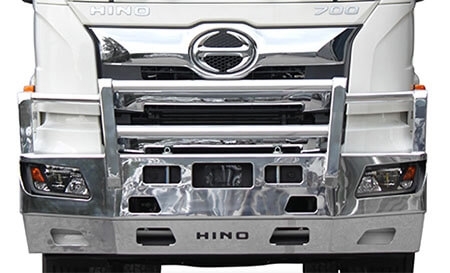 Hino Chrome Wheel Covers for front and rear wheels will give your truck a premium look. Full sets available for 22.5 inch single and bogie rear axle. 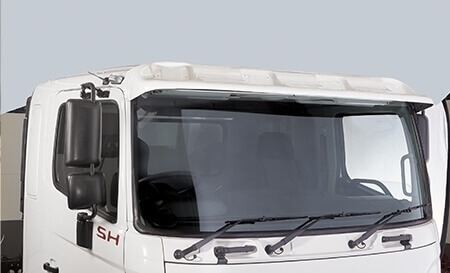 The tinted acrylic design offers protection against the weather and reduces glare for driver and passenger. 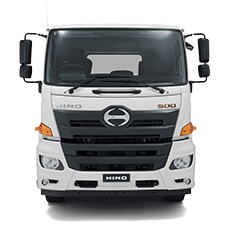 Hino Stone Guards are made from a sturdy 300mm high aluminium frame with powder coated black steel mesh to protect your windscreen from stone chips. 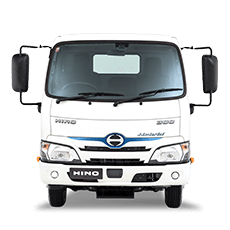 The Hino Sun Visor is designed to improve driver vision by reducing sun glare. Manufactured from fibreglass and are fully moulded to suit the cab. 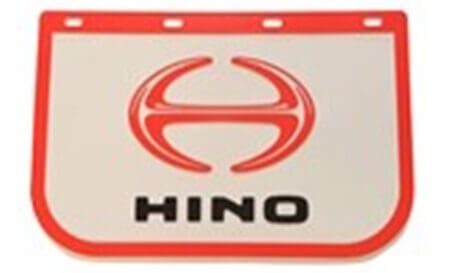 White with Hino logo, available in two sizes. 610 wide x 380mm high / 610 wide x 610mm high. 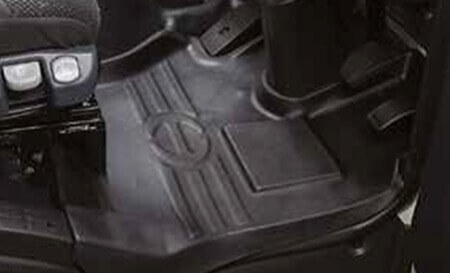 7-inch above cab ram-air induction to your air filter. 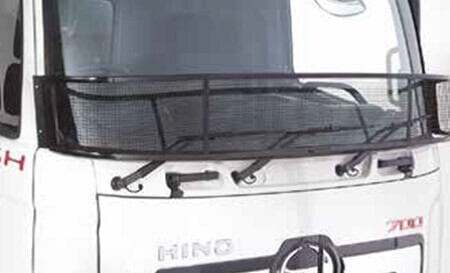 Mounts behind grille, includes net, clips, brackets and bolts. 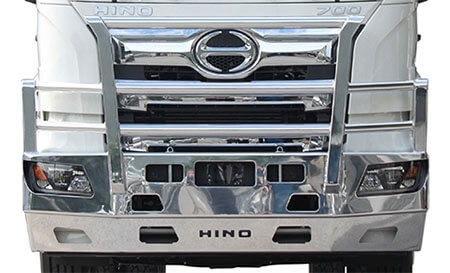 The Hino Dash Mat is designed to protect the interior of your truck and reduce glare. UV resistant, flame retardant with buckle tie system and zipper for easy fitting. 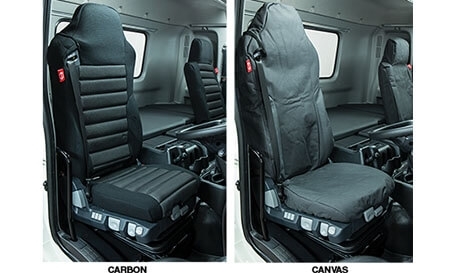 Choose from sheepskin, carbon fabric or canvas with front and rear seat options. 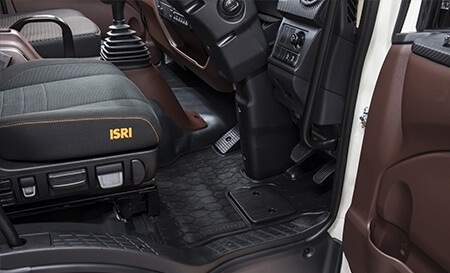 Manufactured from heavy duty rubber, they are designed to cover the footwell area and are easy to remove for cleaning. Manufactured from a rubber/synthetic composite that captures dirt, grit and gravel and are easy to remove for cleaning. 24/7 in real time. Receiving reports on everything that counts. All the vitally important, highly detailed data that can build your business. You’ll get reports on fuel efficiency. Optimising safety. 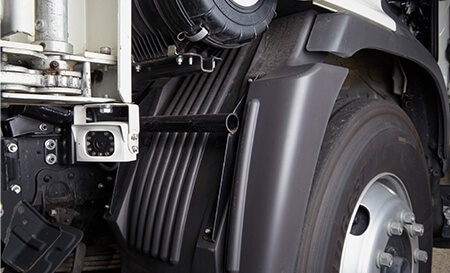 Analyse and compare truck performance. Up to the minute, pinpoint-accurate truck locations. 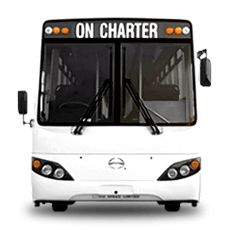 Plus, a wealth of associated fleet intelligence that can dramatically improve your operational efficiency and business decision making. Waterproof and offering wide view, high-definition quality vision with infrared night vision and microphone with volume control, to assist in driver safety and comfort. Camera is activated automatically when reverse gear is selected and can be used at any time while driving. Option to fit up to three reverse cameras on your vehicle. 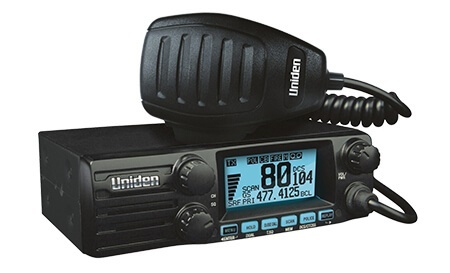 A single DIN unit comes with 80 auto channel programming, master scan technology and handset. Designed for easy installation utilising custom brackets and harnesses for simple plug and play. Unit also comes with a high quality antenna. 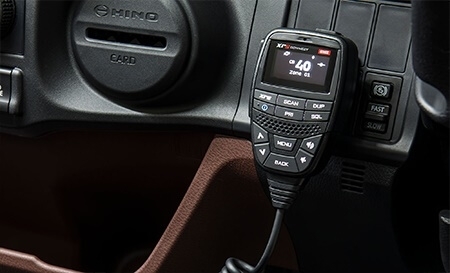 Update your system with a fully featured satellite navigation package including notification of load and height limited roads, as well as having the capability for input of multiple destinations. Package comes with free map updates for three years. 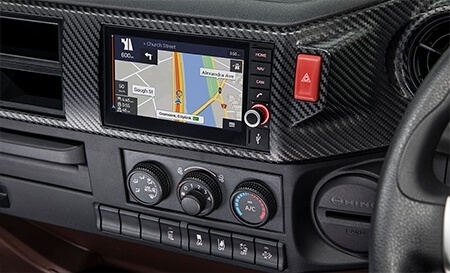 The Hino multimedia system with satellite navigation has been designed for day to day use to ensure all your Audio / Visual / Navigation requirements are satisfied. 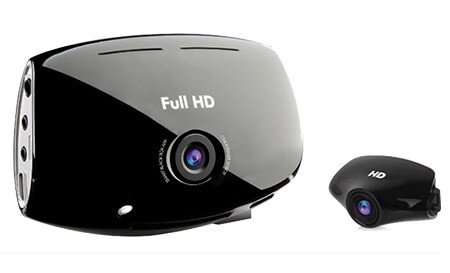 A discreet dash cam with true HD video images with wide viewing angle. The unit is equipped with features such as 2 channels for video recording, 5.0 mega pixel front and rear camera, digital zoom and is Android / iOS application supported. Images can be played or downloaded to your phone, immediately providing 24/7 true accident monitoring or identifying vandals. 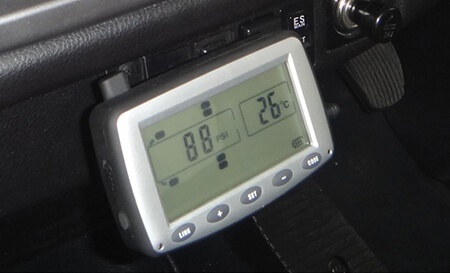 A fully wireless system that will measure both tyre pressure and tyre temperature providing an audible and visual warning to the driver should either the tyre pressure or temperature become too low or too high. 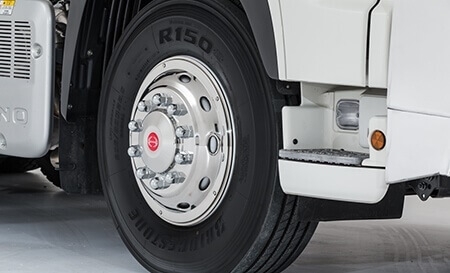 This system requires one sensor per tyre with the ability to monitor up to 24 tyres. 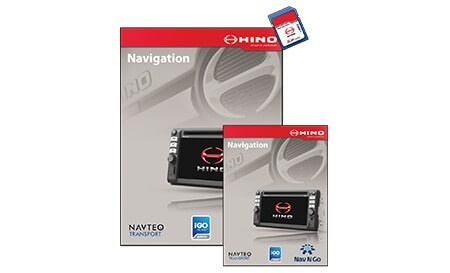 Designed to both complement and enhance the Hino multimedia system. 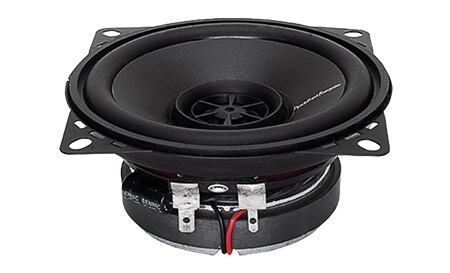 This plug and play upgrade kit features 3 way coaxial speakers with a 210W peak power rating. 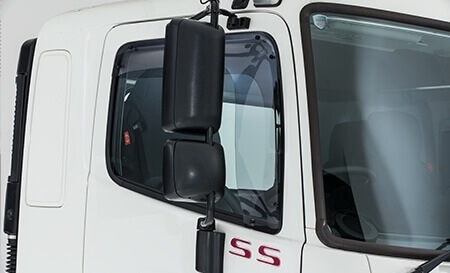 The Lane Change Assist System is designed to enhance driver awareness of space by eliminating the blind spots and significantly increasing visibility to the left and right side of the truck. 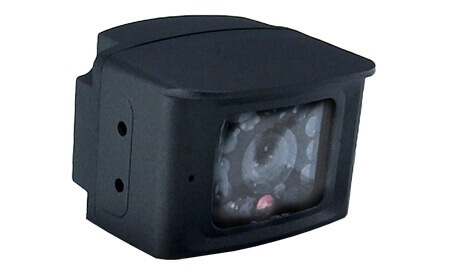 When the left or right indicator is applied, the multimedia unit will display the camera view on the screen. 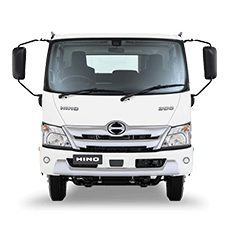 Give the Vanderfield Hino Sales Team a call at Toowoomba - 07 4631 4800 or Enquire Online.